Virtually no resistance to bite closure, yet rigid enough to be easily trimmed. Contains: 2 x 50ml cartridges, 6 large mixing tips. Mixing tips have a yellow hub, clear barrel and white mixer. Mixing tips have a teal hub, clear barrel and white mixer. 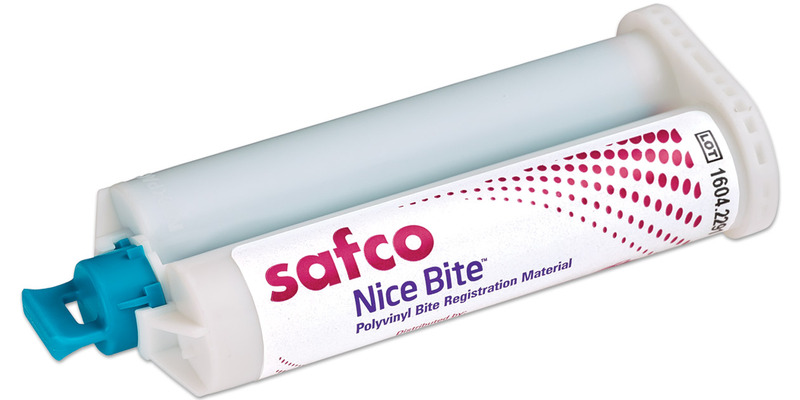 Transparent tip fits onto large mixing tips for use with bite registration material to dispense a ribbon-like layer onto the occlusal surface. DS 50 dispenser marked 1:1/2:1.